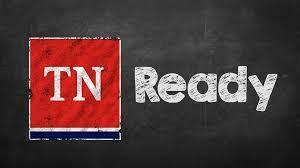 April 16th; April 23rd-26th and April 29th: We will be administering TNReady tests to 3rd-5th graders on those dates. There will be no visitors allowed during testing. Please contact the office if you have any questions. "Momo Challenge": While watching various things online, an unsolicited message where children are invited to participate in various tasks, some of which include self-harm may pop up. Parental supervision of online games, YouTube, and social media is the best defense for these types of attacks. We encourage you to talk to your child about this and use it as an opportunity to reinforce your values and expectations and to provide your child with a safe place to discuss their feelings and online interests. If you have further questions, please contact our school counselor, Heather Metcalf via Class Dojo, phone, or e-mail.